Warwick Davis and Wife, Sam. Thursday night the Beeb screened one of the few programmes that show the Corporation can still make documentaries worth showing. Modern Times followed Warwick Davis as he attempted to set up his Reduced Height Theatre Company. Davis and his wife, Sam, and their children are afflicted with dwarfism. Davis himself has had a long career in film and television, playing the mythological type of dwarf, and other creatures of legend, fantasy and Science Fiction. He’s appeared in the fantasy film, Willow, the Leprechaun series of horror flicks and, of course, Harry Potter. 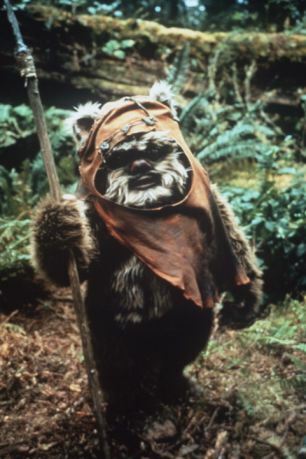 Star Wars aficionados will also remember him as the Ewok, Widget, who joins Luke, Han, Leia, Chewbacca and Lando to overthrow the Empire in Return of the Jedi. Davis in his best-known role. More recently he has appeared on TV with Ricky Gervaise, as a telekinetic dwarf in Psychoville, and as the Emperor of the Galaxy helping Matt Smith’s Doctor battle the Cybermen. Davis isn’t content merely to continue playing in this restricted repertoire. He pointed out that many small people like him actually want to play the same roles played by people of normal height. And so he set up the Reduced Height Theatre Company to allow them to do just that. The intention was for the small actors to perform on a set that was scaled for people of their stature. This would create the illusion for the audience that they were actually watching normal-sized actors, so that within five minutes they would have forgotten they were watching dwarves. The show followed Davis as he and his normal-sized director and producers auditioned the aspiring actors, and supervised the construction of the set. The play they chose to perform was the farce, See How They Run, written in 1942, whose cast includes seven vicars and an escaped German POW. 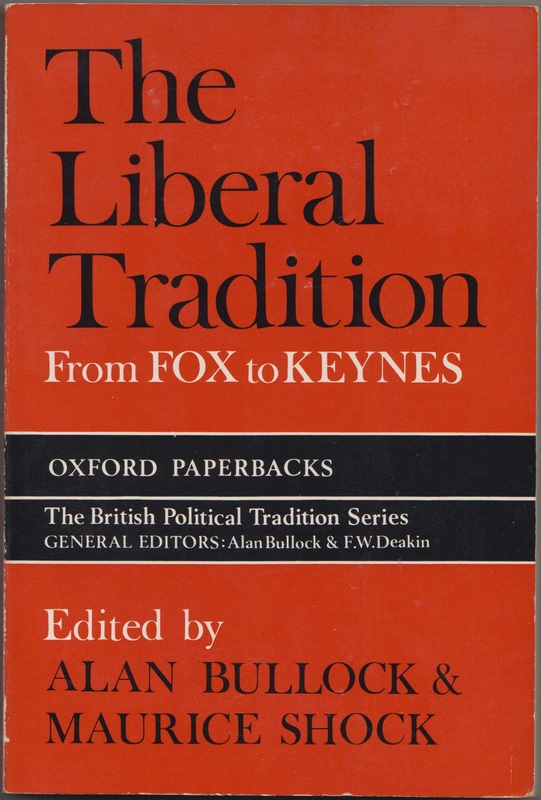 It’s a classic British farce, of the type viewers used to be informed was playing at a theatre somewhere at the end of TV programmes in the 1970s. As the credits rolled, a voice would announce that the actors in the programme were now appearing in show X at the Odeon, Bognor, or somewhere. The cast Davis settled on were extremely talented, and from what was shown it was astonishing that they had never performed professionally before. A few, including one young lady, were drama or performing arts students. The girl was shown in her class performing the type of dance routine that way back in the 1970s was hailed as ‘movement’. The show also interviewed the cast members themselves. One of the girls, and a bald guy of somewhat hippy-ish attire, spoke of their pain at being dwarves, how they hated being their height, until they finally came to terms with it, and realised those were the bodies they had. The bald bloke was a swimmer, and made the point that in the pool he was as good as anybody. Which I think was proved most definitely by the speed at which some of the disabled swimmers, including Britain’s female dwarf athlete, moved through the pool during the Paralympics. Along with the lack of height, the disorder can bring other, far more serious problems. The condition may include problems with the spine, the hips and the legs. One of the girls recalled being told that she would eventually end up in a wheelchair by a certain age. This made her determined to live her life as she had it now. The bald fellow also described his problems with the condition. These problems had, sadly, struck at Davis’ wife, Sam. She had suffered period where she lost sensation in her legs. The bones in her spine had fused to press on her spinal cord. If this was left untreated, she would eventually lose the use of her legs. The problem had become increasingly acute, until she needed to be taken into hospital for an operation, which would correct this and give her back some kind of normal function. If it failed, she would be confined to a wheelchair. Davis had put his own money into setting the project up, and stated that if it failed, his house was on the line. There was added pressure from his having to perform in Panto at the same time as his wife was to have the operation. And in amongst all this, he was also unhappy with the set. The director had purchased a normal-sized set, which was nevertheless sufficiently small for it to be suitable for people of the performers’ size. Nonetheless, it was still too large, and Davis reluctantly decided on taking it to a set construction company. After examining it, they decided that it would have to be rebuilt smaller. Despite all these problems, the show was a success. Davis took it to 90 different theatres up and down Britain, including Plymouth. The theatre there had a particularly large stage, and it was feared that if they scaled down the set it would leave plenty of unused space on the stage, which would destroy the illusion of normality. The actors were shown laughing at their lines and performances as they rehearsed, with the director pushing them to get the best performance from them in the few weeks before they trod the boards for real. Sam’s operation, although it did not result in her being able to get on her feet as quickly as expected, nevertheless appeared to be a success. Her surgeon assured her that it sounded like she was well on the way to recovery. I think the Reduced Height Theatre Company is a splendid idea. There have been other, similar specialist theatre companies for others with different types of disability. Nabil Shaban, who played the villainous Sil in the Colin Baker Dr Who stories ‘Vengeance on Varos’ and ‘Mindwarp’, suffered from brittle bone syndrome. He was a member of a disabled theatre troupe, which staged Ben Jonson’s Volpone. One of the greatest dwarf actors was David Rappoport, who starred as the leader of the time travelling dwarf gang in Terry Gilliam’s 1980s fantasy, Time Bandits. Rappoport went on to do other film and TV work. He appeared as an uptight British businessman, who gradually began to unwind through discovering rock ‘n’ roll in America in a TV series on Channel 4 in the 1990s. He brought style and swagger to his roles, but sadly committed suicide just before he was due to appear as the villain in the Star Trek TNG episode ‘The Most Toys’. Watching this, I was left wondering whether he’d still be with us, if something like the Reduced Height Theatre company had existed when he was performing. In all of this, it inevitably raises the issue of ‘separatism’ versus ‘integration’, and it could be said that the Company acts as a kind of ghetto for people with dwarfism. They may perform the same roles as people of normal height, but they are still separate. I think it’s still great that the theatre is providing people with their disability to perform normal roles, roles which they would otherwise not get. My guess is that it will in time challenge stereotypes, and show producers that actors of this height can be realistically cast in roles other than ‘stage dwarf’. As so many of the actors with this condition have related health problems, the NHS also has a role in supporting this talent. At one point Davis said that he was amazed when people ask him what it’s like to be in hospital, as they’ve never been. He and his family were in there three times a week. The Tories and UKIP would love to privatise the NHS and replace it with an insurance-based service. One fifth – 20 per cent – of Americans can no longer afford medical care, and Republicans like the Koch brothers would like to end medicare/ Medicaid, the state safety net for those unable to pay. The Tories over here despise the disabled anyway, as do the Kippers. If they get in, the support currently given, if meagrely and extremely grudgingly, to the poor, sick and disabled will vanish. And that will inevitably damage Britain’s ability to nurture talented disabled artists and performers. If we want Britain to continue produce world class performers, and initiatives that challenge and stretch audiences’ limits and expectations, this cannot go unchallenged. The artists, actors and athletes of the future deserve the support of the welfare state and NHS, along with us normal types. As for the Reduced Theatre Company, I wish them every success and look forward to their future performances. I hope this time they come somewhere near me, and perform in Bristol or Cheltenham.